Once again we return to the [Monthly Selection], a series posted on my blog each and every month that talks about and shares the music I have just loved from the month(s) gone by. Now that we're successfully into July, it's time to take a look at what June has graced us all with, including one release that I have been impatiently awaiting, and one that I fell completely in love with upon first listen! I wonder what those songs will be, hm? For the month of June that's just flown by, what Music will be shared here that you enjoyed, as well? In regards to what is said and shown here, I just want y'all to know that these are my own personal picks, and that they are not here to reflect what others have enjoyed, or what you yourself might enjoy. The series itself is simply here to show what I liked, and to hopefully give you an idea of what you can look at and listen to, if you care to venture into soloists and artists you might not have known existed before. My picks will, of course, not meet the same standards as everyone else, as well have unique tastes in music, so if there is something here that you do not like, or there is a song you loved that I did not, then please, do not get offended; this is my list, and these are songs that suit my unique taste. Thank you. If you have your own list, then please, share it with me and everyone else by commenting, or write one up on Facebook, Twitter, your own blog... anywhere! Share it, and expand people's music tastes with what you love! And, if you want to find out what I enjoyed from June, then please read on, and enjoy! Hopefully you will go on to experience some of these singers yourself, and potentially find a new artist or group to love! Now, let's listen to some music, and let's have fun! Bring on the playlist, Chii! HAAAAAH!!! June marked a rest period, of sorts. University is officially over and done with, and I managed to move out by June 22nd, back to my parents' home, where I basically have little to no room to breath, let alone space for myself. So, yeah, I have had some time on my hands, though I haven't done that much with it, I will admit. July will be a little busier, of course,however June has given me some rest, thank the heavens. It was also a good month for music, and whilst I may not have blogged much here, per say, I have blogged elsewhere... more on that another time, because here and now is not the time. So, yeah, June was great for music, it found me some new singers to love and enjoy, and it also saw the release of a single I have been waiting for with extreme impatience. It was also the month of awesome-sauce music, so, hurrah! Hopefully what I have here will contain something of interest to all of you, and hey, if not... share your lists with me, okay? I want new music, always, so SHARE IT! Now... ONTO THE SELECTIONS! Will there be something in here for you, too? I HAVE BEEN WAITING FOR YOOOOU!!!! 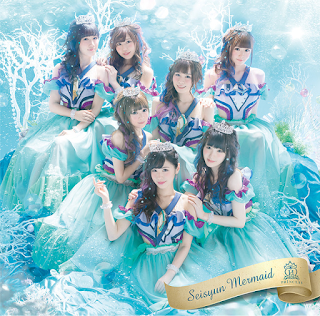 Seriously, since the short MV was released for one Sweet Sensation, I have been waiting with such impatience for this single, for the full MP3 of this cute, high-pitched release, making it one of the more anticipated singles of 2016 for yours truly. Seriously... it couldn't have come any later, could it!? I enjoy this song wholeheartedly. It's a joy, it makes me happy, it makes me feel hyper. I have cavities thinking about it, and I honestly just enjoy it from beginning to end. It's cute and fun, squeaky and sweet, and it's a true sensation from beginning to end. What more could I want, aye? Believe it or not, I didn't really like this song at first, at least, not that much. 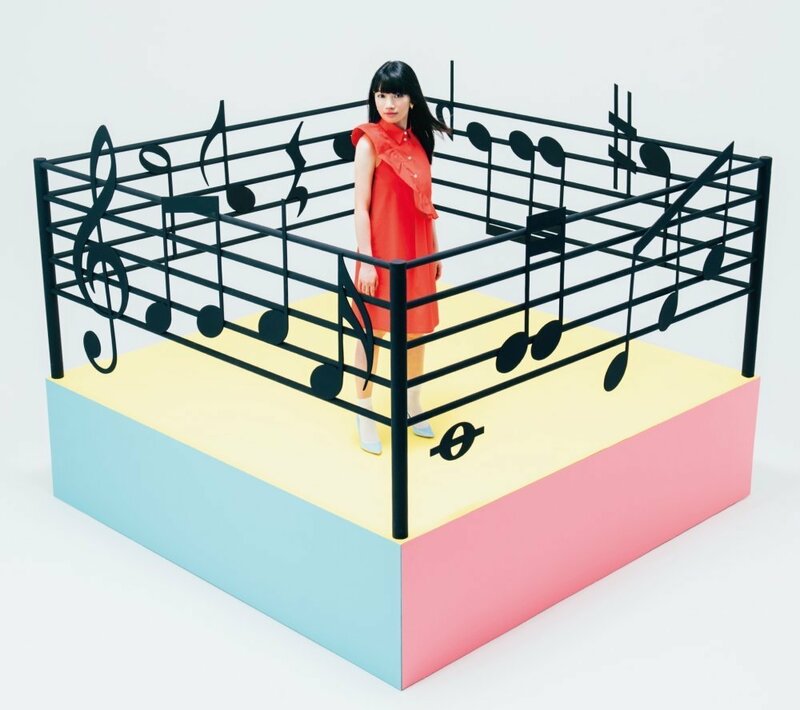 Good thing it's a grower, because right now, I love it, and already in July it's one of my replays, and quite possibly my favourite of the two songs on Murakawa Rie's first single release. Baby, My First Kiss is just enjoyable, and it's catchy, too! It's not as sweet or cutesy as Sweet Sensation is, however it still has a dollop of fun within it, and a sprinkle of sugar to make it that extra bit enjoyable, if you like that sort of thing. It's a memorable song, too, so if you like cute, squeaky voiced singers and an enjoyable tune to sing along to, hit this one up and have a good time, dearies! Hands down, this is my favourite release of June 2016. I love it, the entire single is a blast, and because it will take up time, I'm not going to list all three songs here, for the sake of ease and the like. Also, I did an entire review of it HERE, so if you're interested, go ahead and read what has been said. 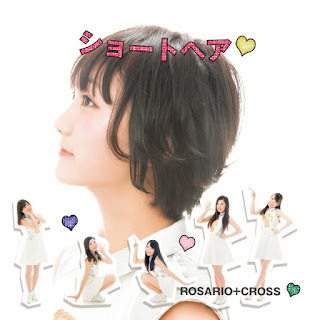 In short, though, I really like this single, and I really like this singer already. In June, this was my most replayed single, and I'm still enjoying the heck out of it. Ohara's gorgeous vocals paired with some beautiful songs creates a wonderful atmosphere for me, and I just feel so at ease listening to her. She is a joy, and every one of these songs are great, so I do urge you to check her out, cause she is a treasure. Y'all know I love my HouPri, and y'all know I am in that state of 'love all that comes out' with them. I've been that way for a while, now, and yes, I enjoy this song greatly. I enjoy it more than even I thought I would enjoy it. Catchy, fun, bittersweet in the lyrics, and memorable to the core, this is a great release all around, and with the wonderful decision to make Maika the lead, it is a good song. Too bad Nana's still a lead here, though her voice is a lot better than before. I LUUUURVE the song, and I do love the MV, too, though there isn't enough Mayuka. I NEED MORE MAYUKA!!!!!!! The opening of this song sounds like something AKB48 might do, like, a good AKB song, you know? And I like this song quite a bit, it's quite cool (I like the MV a smidge more, of course), but also a little cute thanks to the tone of Taketatsu's adorable, high voice. It's also quite a catchy tune, and very anime-ish, though it is also very forgettable, because whilst I do enjoy it, I don't remember it once I listen to something else. Not. One. Bit. Well, I remember the epic opening... so that counts for something, I guess? It's a nice song, it's good actually, it's just got a very low memorable factor, for me, at least. Still, I like it, and I like Ayana as a singer, it seems. Check it out, if you feel intrigued. I actually didn't enjoy the single this song came from much, however Looking for your Smile struck a chord with me. It's super pleasing to the ears, and whilst Hanazawa Kana is a little too sweet in this, even for my liking, she suits the track quite well. This track is also quite memorable, being the only one I can actually recall on the entire track list. The fact I can also finish it speaks volumes for it, too. A sweet, positive song that is gentle yet upbeat, Hanazawa's Looking for your Smile is a nostalgic sounding piece that feels sentimental and joyous. It's the last track on this three piece release, however it has the most impact, and is definitely going to tickle some taste buds. MACO!!!! Oh, I do love your voice, even if your singles do all sound vaguely similar to one another. A delightful vocalist, MACO is definitely one of those singers you enjoy for her voice, as well as the passion and joy you feel in her songs. She's energetic, yet soft, and whilst her voice isn't the most powerful, she still packs a punch, and whatever she sings, you just feel so happy listening to her. Koinito Doushi is one of those songs that makes you feel happy, and it just brings a smile to my face when I listen to it. 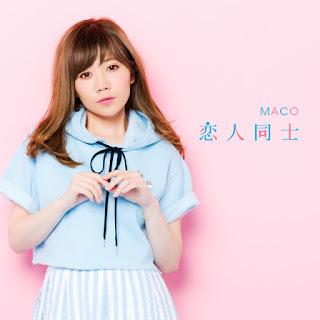 Yet again, MACO has charmed me with her music, making me wonder why I haven't listened to her in a while. In short; this is a delight, just like MACO. An upbeat, energy fueled song that has you clapping and smiling along with it. It also has some great replay value, so... Check it out, okay? 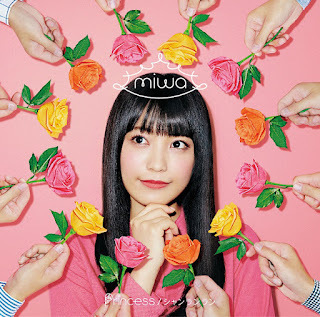 If you like anime voice actresses and their singing, definitely check out the album TRY, because Chisuga Haruka is the BOMB for me right now, and she definitely has one of the most appealing albums I have seen this year. Break On Through, as the albums opener, is a great piece, and definitely hooks you the moment you step into TRY. It also shows off the flexibility of Chisuga's voice, ranging from a little cute, to quite powerful. She is truly a joy to hear. Break On Through itself is a very anime-ish track, and feels oh-so 90's, in my humble opinion. 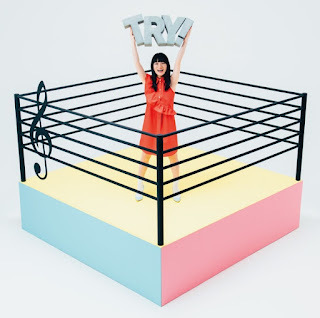 It's upbeat and fun, and definitely a winner for me thanks to its catchy but cool sound. It's a great song, and such a good opener, setting up an amazing album from the get-go. Let's just say that, in regards to Refrain, WOW. This song is just... it's gorgeous. Breath-taking, even, and so beautiful, amazing, powerful... it's a gem, and one of my undeniable favourites from this entire album. It's also a pop-ballad, and a well done one, at that. This song is an absolute beauty, one that has so much passion and emotion rooted into its sound and feel. Haruka's sweet vocals compliment it nicely, and when power is needed, she brings it, but she just sounds so... well, she sounds so good, and I love how the song sounds and feels, and how beautiful it is. It's a great composition, and though not my favourite within the album, it's still a freakin' joy, and makes me think 'wow, this girl is great'. In general, though, this album is amazing. Just so happens Break On Through and Refrain are too amazing for me to contain myself in terms of how much I enjoy them. So, yeah... listen to Refrain, listen to the album. Go, Go, GO!!!!!!! I'm a sucker for a cute anisong, y'all know that, right? Even if I happen to, you know, kinda not watch anime. In general, I don't follow Luce Twinkle Wink☆, even if I do try to follow the ArcJewel lot to the best of my abilities. That might change, however, considering how enjoyably sweet this song is. 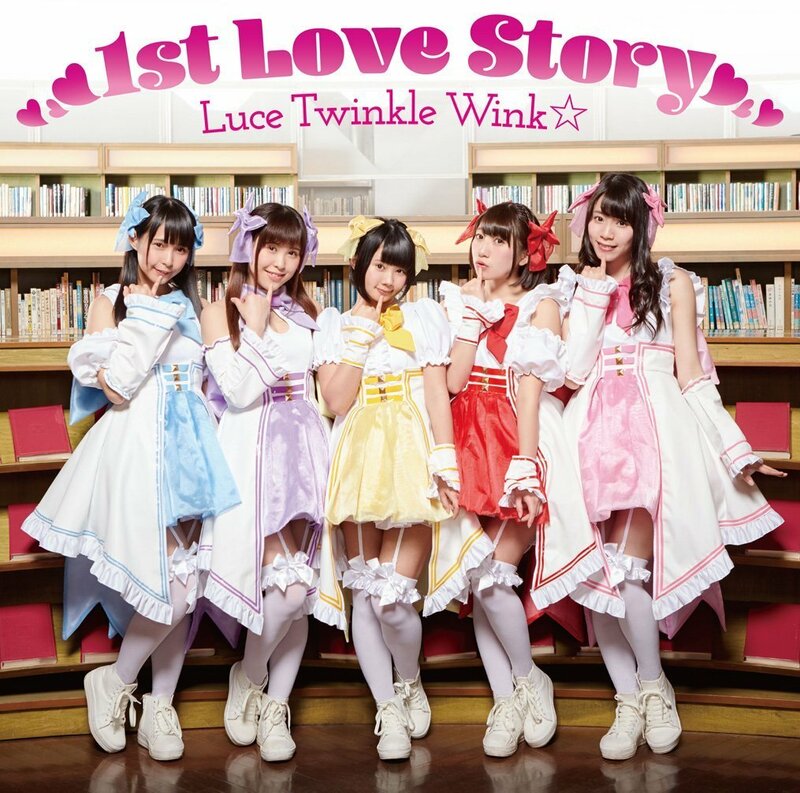 1st Love Story is just so fun and adorable, twinkly and bright. It's like a spring day, and it feels so fresh and vibrant, even if it is a song I could probably find from a bunch of other groups. And hey! The singers aren't half bad, either, though their overly 'cute' vocals could grate on a few people. Still, they're fun to listen to. It's an all-around cute song, one that has great replay value, and feels so anime, you might get some nostalgic burns the more you listen to it. If you like your songs cute and sweet with a hint of anime kicking around, then do give this one a go, because it is adorable anime to the very core, and you cannot get any better than that. This is a really pretty song, and whilst the entire single this song is a part of, this is the one song that stands out for how pure and emotive it sounds. It's a gorgeous ballad, and what's more, it's a 'live' recording, meaning that the vocals used are fresh from the stage, raw and slightly imperfect in every possible way, which makes it even more perfect for me as a listener. Like many singers I have come across this year, miwa has a voice that feels distinct, with a slight earthy sound, but still as sweet as can be. She feels like a girl next door, in a way, at least from her voice. Kataomoi is beautiful, and I love that it's live here. It just feels so true, so passionate and alive. This is a gorgeous ballad, and one of the best songs on this track list, even if it is a song that was originally released in 2012. It's a great addition to the track list, and a great note to end on. A favourite right now, and definitely a reason to look into miwa for the near future. I really enjoy the end songs on albums this month, don't I? Kiseki is, of course, another end song on a single, mostly because it's the best song on there (for me, at least), and because it's another pop ballad. I like my ballads of any kind, and this one is done pretty well, though I'll be honest; I don't remember it that well. Still, I like it, and it's here, however if I can't remember it any time soon... it won't make my end of year list. Really though, I do like Kiseki. It's a beautiful track, and Shionoya's vocals are quite beautiful here. She doesn't have an amazing voice, but she definitely suits this tone of song, and she has passion and power here. She connects with the song, and is just downright lovely to listen to. This may not be my favourite song from June, but honestly, it's still a great listen, and I'm glad it's here. When a group is called lol, and they create a single titled spank! !, I'm really not going to take them seriously, at least not until I listen to their songs. Luckily, I did just that, and whilst this single name and the groups name are still rather laughable and embarrassing in a second-hand kind of way, their track list is, at least, really fun to listen to, because it's Avex, and if it's Avex, that means 90's club music! Yaaaaaaaaaaaaaaaassssss! In general, the entire single is a good time, however I must admit that the coupling tracks are my favourite thing here, though spank!! is just... well, it's great, and whilst the spank you up! lyrics are just a nope on my part, it's still great. I can't deny how good the song is though, and how nostalgic it feels, because CLUB MUSIC, Y'ALL!!! The coupling songs, girls is mine (performed by the boys) and brand new story (performed by the girls) are the ones I like, though, with brand new story being my favourite of the entire single because... well, it's a pop ballad, and we all know how I feel about anything ballad-y. It's just so, so pretty, and it suits the singers beautifully. I also want to hear the entire group sing this, because damn, men in ballads are UMPH. Really though, both coupling tracks are a good time, with brand new story bringing the feels, and girl is mine bringing the cheese, in a fun way, of course. 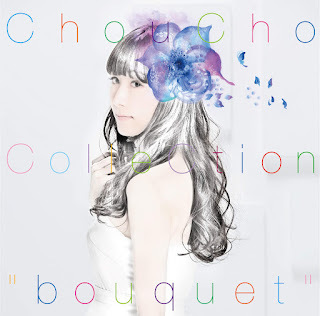 As per the usual with most album releases, I listened to this one a whole month late, however when I did eventually get around to it, I found the entire release of ChouCho's first 'Best of' Album a delight. It's filled to the brim with beautiful songs, most used as opening and ending themes for anime's ChouCho has sung for, including both A and B-side tracks, as well as some of her digital releases. 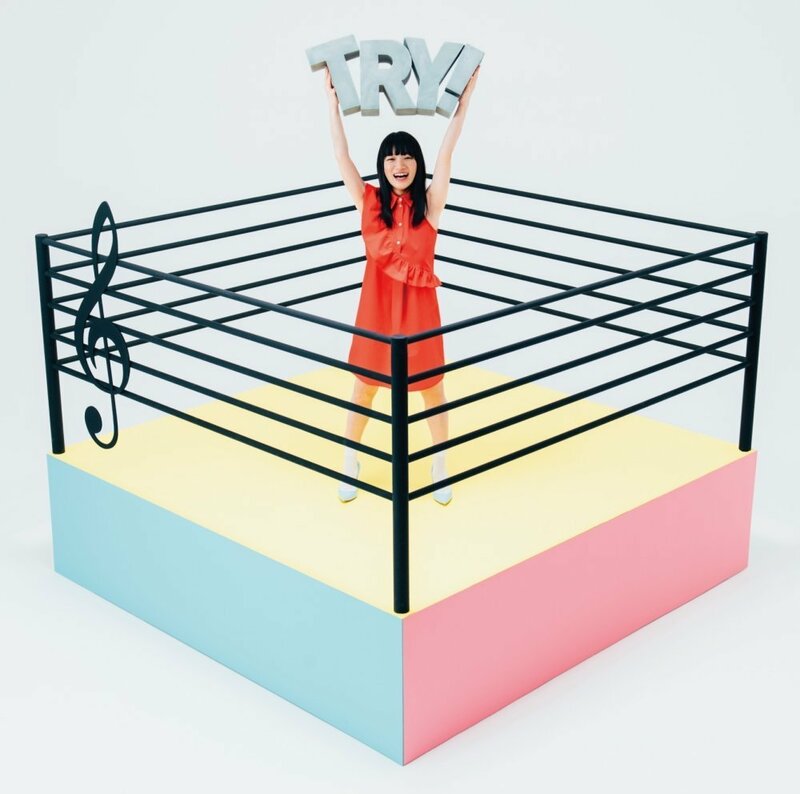 If you're a first time listener of ChouCho, this is actually a really good compilation to dive right into if you're unsure of where to start in regards to the singer, though if you're a seasoned fan, you probably already know a bunch of these songs, and possibly own a fair few, yourselves. Really, though, this is a great collection, and I can't pinpoint which songs I like more, because they're all amazing in my opinion, and for a first time listener of this soloist, I think this collection of what ChouCho did best is amazing, and definitely gives me a good idea of what she is capable of, and how wonderful her songs are. Sweet Clapper is one of those songs that gives you energy and gets you in the mood to do something, whether it's writing, dancing, or something else. It's motivational, it's fun, and it's an absolute blast to listen to. This song is just so catchy, I can't help but enjoy it! It makes me feel so elated, and it makes me want to write something as fun and quirky as this song is. 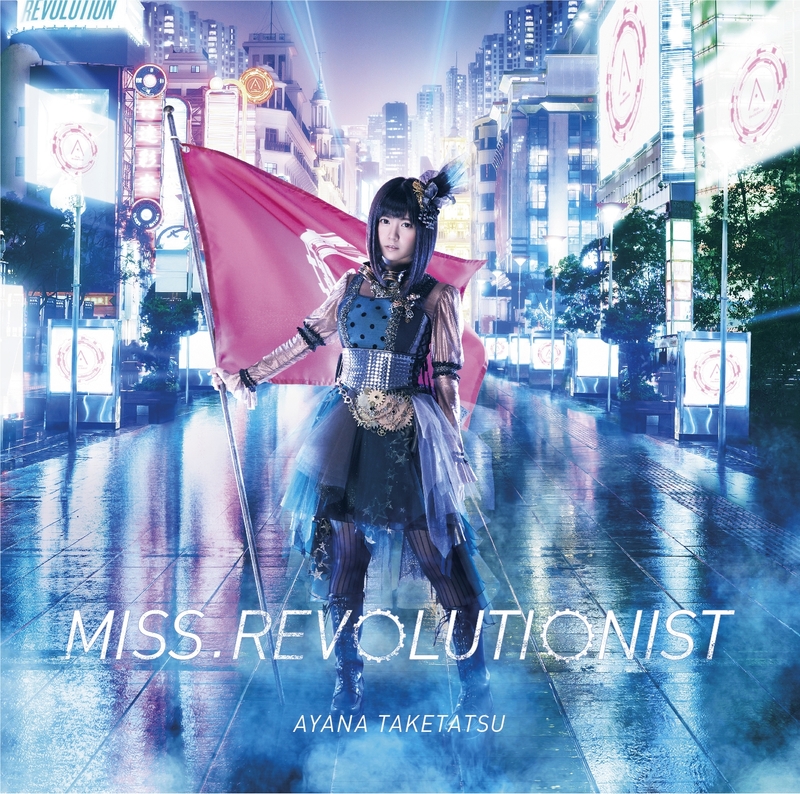 I am really enjoying this song right now, and I'm glad I found it hidden in the depths of the J-pop world, because it's a treat and a joy to listen to. It's replay value is great, too, and if this doesn't get replayed throughout July... well, I doubt that'll be the case, because this song is amazing, at least for my ears and playlist! You know when you hear the first beats of a song you like, and you get so excited, you can't contain yourself? That's what this song does to me. 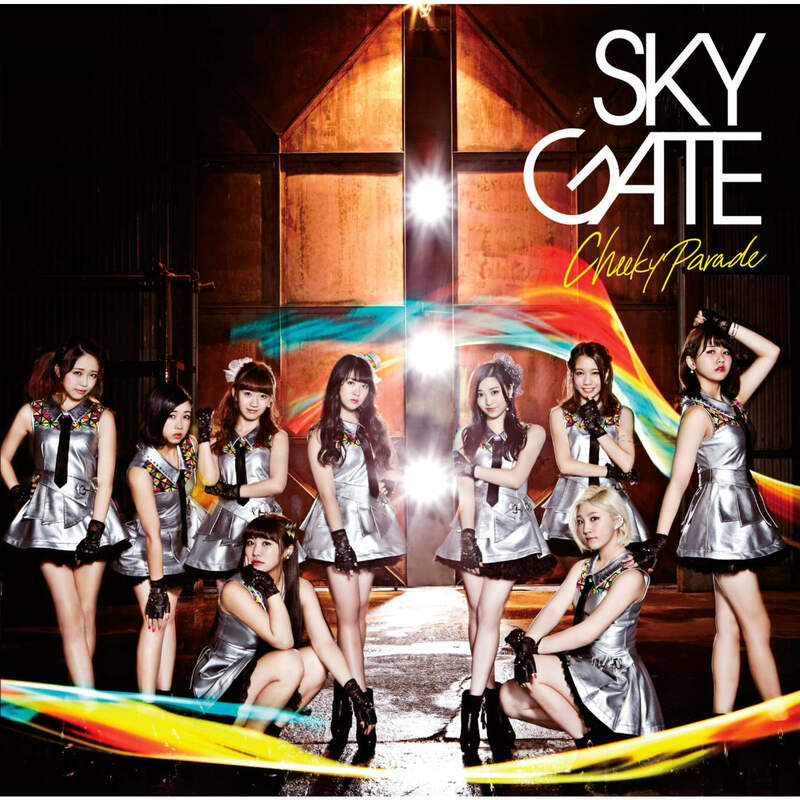 Given that I have put SKY GATE on here once or twice before, I really don't need to talk about this song. So, let's leave it at: I LOVE IT, I LOVE IT, I LOOOOOOOVE IT!!!!! So... yeah. I love it! Another February '16 release that's an oldie, but a goody all the same. I love this song, and listening to it again after Miho's graduation is still a heart-wrenching experience for me. I adore this song and how bittersweet it is, and yeah, it still brings a tear to my eye. I don't need to delve into this one much, either, so... it's a goody. It's such a goody! I admit, I didn't listen to this album until very recently, as in this past month recent, so this song will be completely new to me... and damn, how did I not get into this sooner? Tanpopo is hella impressive, at least to me. From their mini-album, Koe, Tanpopo is an upbeat pop tune that just feels so perfect for the Spring season. It's cute and lively, and I really love the members' vocals here. They sound pretty good, though still raw, and the slight use of auto tune isn't too much or too little, it's just right, you know? 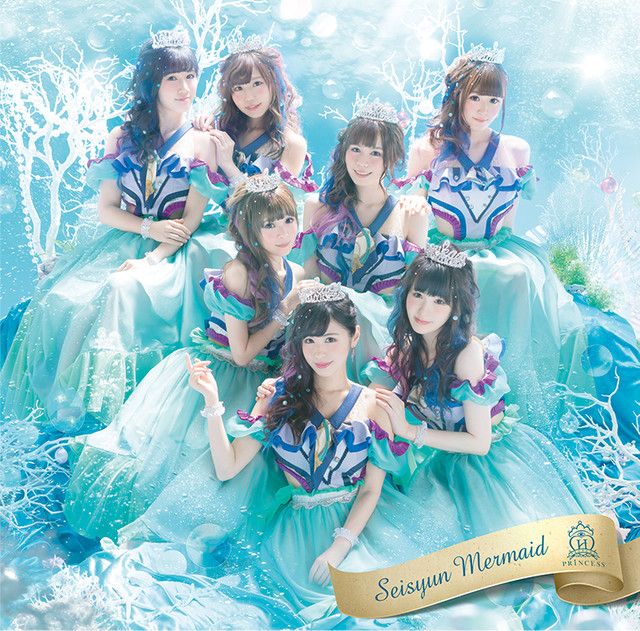 This is a nice song, and one of my favourites from this mini-album, though in general, it's a pretty solid release. If you ever hit up whiteeeen, check out their song Tanpopo. I pray it won't disappoint you, because it didn't for me. I know the song is technically on an album released this year, however the song was released three years ago, so I am taking that into account. Still, it may end up in my 2016 playlist regardless, because it's quite enjoyable, and very, very pretty. It's also... A POP BALLAD! HURRAH!!! This is such a nice song. I love how soft and sweet it is, but what surprised me was that, for this song, Chisuga uses her gentle but cute voice, which I didn't exactly expect, because I truly thought she'd use a lower tone. That said, she suits this song beautifully with the higher tone, and it just makes the song even more enchanting to me. It's a wonderful piece, one that enchants and inspires me. I just love how it sounds, and how perfect Chisuga sounds in it. A wonderful track from what I consider to be a wonderful album. 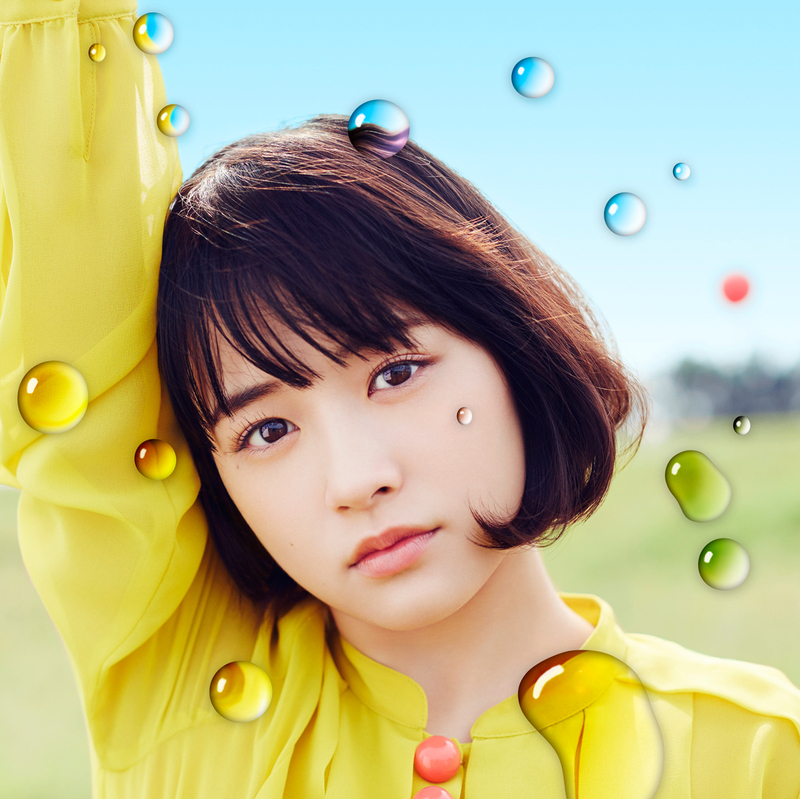 Seriously, if you do decide to check Chisuga Haruka out, then go for TRY!, because each and every song within it is absolutely stunning, and she herself is just wonderful. So, go on... give it a try! It's baaaaaaaaaaaaaaack! And hot damn, it is still great for my ears, no matter how generic it may seem! This song is just so positive and cute, and I can't help but think about it. It's definitely a strong favourite of mine from 2016 so far, and one of my most played thanks to how energetic and fun it is. It's also a pretty easy listen, yet memorable, too. It's good background music, but it's good to sing along to, too. It's everything a generic, upbeat Idol pop number should be! I love this song, basically, and I doubt this'll be the last time you hear about it from me on here! And... there we go, the Month of June in Music for Chiima in a nutshell. There have been many loops, much loves, and a few wins right here, as well as some new favourites to add to my Happy Time Playlist for the year of 2016. June, thank you for being a musical month, you were a true joy. It's quite sad to see you go, actually, but I shall let you pass as we head into July. PV Selections should be up some time soon-ish, and hopefully another post, if I can get one done before I head off to Poland next week. Either way, I'll get it done, I always do... but hopefully I'll get it done sooner than June's was, because damn, that was laaaaate. Anyway, thank you all for joining me in this post once again and for sitting through it. I hope that you can find these artists and groups, and that you find some new music to enjoy, whether it's from June, or a prior month and / or year. And, if you yourself want to share a list of your favourite music from June or other months, please do! It's good to share, and it's good to branch out with music and Idols! Until next time, everyone, please love music, take care of yourselves, stay happy, and be healthy!